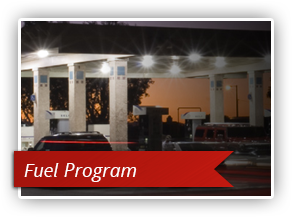 At GPM Investments, LLC, we understand affordable, quality fuel is what keeps your customers coming back. That’s why we offer fuel brands your customers trust like BP, ConocoPhillips, Exxon, Marathon, Shell and Valero all at competitive prices. We deliver these brands to you from our supply terminals throughout the Eastern United States, but GPM goes beyond basic fuel supply. We offer services that give you peace of mind. Each year, GPM supplies more than 75 million gallons of fuel to dealers throughout the Eastern United States, but we are experts in more than just fuel supply. GPM is also in the convenience store business. With GPM, you get two industries of experience in one company. 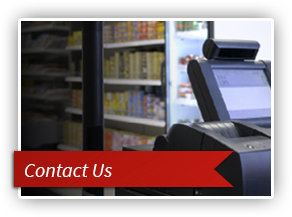 GPM is an integrated solution for your fuel supply needs and convenience store success and our automatic delivery schedule eliminates the hassle of reordering fuel. Valero Energy Corporation is an American owned and operated company based in San Antonio, Texas. With more than 7,400 outlets, Valero is committed to providing their wholesale customers with dependable supply, superior product, competitive pricing, and unparalleled service. Valero operates under various brand names including Valero, Diamond Shamrock, Shamrock, Ultramar and Beacon. Marathon’s network now exceeds 5,600 locations. Marathon is a company that strives to bring value and values together. That commitment includes the delivery of quality products, reliable supply, and distinctive programs that give you a competitive advantage. Marathon is committed to your success now and in the future. BP is one of the largest oil and gas producers in today’s world. 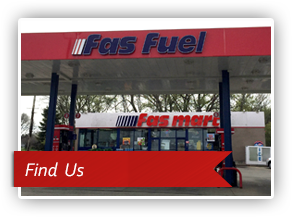 It is also one of the largest gasoline retailers in the United States. BP maintains a commitment to its four brand values: to be progressive, innovative, green and performance-driven. Exxon branded fue ls, services and lubricants have been respected and relied upon for the personal and business needs of customers in the United States for more than a century. Exxon-Mobil uses innovation and technology to deliver energy to a growing world. They produce and sell crude oil, natural gas and petroleum products. Shell fuels, lubricants, and other goods and services are purchased by millions of people on a daily basis from our global network of more than 43,000 Shell service stations. Shell offers a reliable supply of quality products and services at competitive prices to help you grow and maintain your business. ConocoPhillips is the world’s largest independent exploration and production (E&P) company based on proved reserves and production of liquids and natural gas. Key focus areas include safely operating worldwide; protecting base production; executing major project startups and development drilling programs; and adding resources through our global exploration program. GPM supplies fuel to a dealer network of over 100 independent dealer stores from Rhode Island to South Carolina and from the East Coast to Tennessee. GPM is currently a distributor of BP, ConocoPhillips, Exxon, Marathon, Shell and Valero motor fuel products. Want some more fuel supply information? Click here!